We were approached by Charles and Rachel, a talented duo with many years experience in masonry, building conservation and restoration. They have worked with Historic England and the National Trust to conserve numerous historic structures and buildings, all the way from Cornwall to the Isle of Skye. 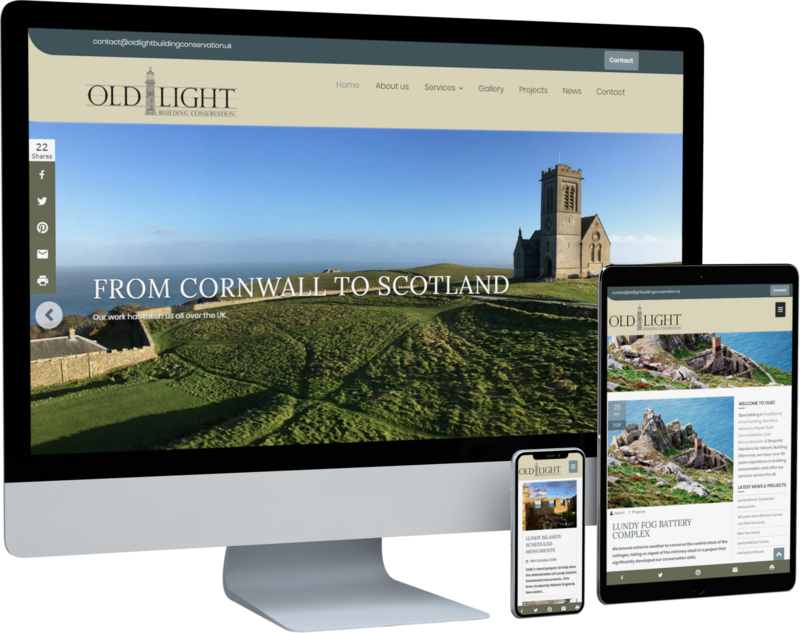 They needed a website for their new business, Old Light Building Conservation, to advertise their services and showcase their work. The OLBC website is fully optimised for search engines and includes a powerful content management system to allow the partners to add news and projects to their site with ease.